There are two types of digital images: bitmap and vector. Find out about their main differences so you can make the optimal choice for your project. A bitmap image consists of pixels and has a fixed size. 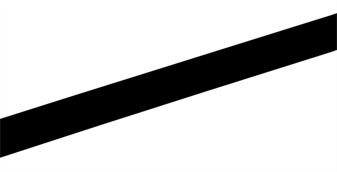 A pixel, short for picture element, a single point in a graphic image. It is a small sample of an image, a dot, a square or a very small section made out of smooth filtering. If you zoom in close enough on a digital image, you will see the pixels. They look like small squares of different colours and intensity. Since a bitmap image is composed of pixels and has a single resolution (size), if it is enlarged too much, it will start losing definition and pixels will start to appear. This is known as pixelation. A vector-based image is composed of points and Bezier curves. The computer reads the points and traces the segments linking them to reproduce the image shape. There is no fixed size or resolution in a vector image. You can enlarge the graphic and distort it as much as you want, and the system will simply recalculate the segments and rebuild the shapes. 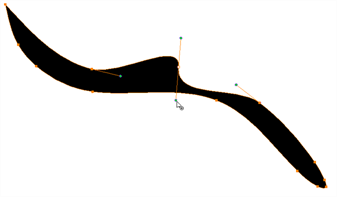 The segment's shape can be controlled with Bezier handles to curve and smooth it. Vector images are translated and displayed in pixels once the calculation is done. Bitmap images allow a more organic style. 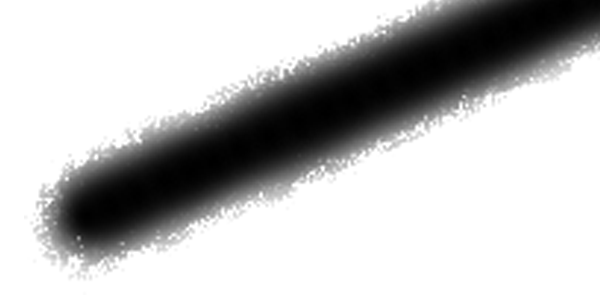 Since everything has a fixed size and is already made out of pixels, more effects are possible, such as blur, texturing, shading, a painted look and so on. The bitmap format is excellent for creating backgrounds and overlay elements. However, because of the precise resolution, in order to zoom in on or to work in high resolution such as HDTV, the created file must be a large size. Vector-based graphics can be very useful when creating large illustrations, as these graphics are resolution independent. The images can be significantly enlarged without losing definition. A vector-based image is generally a smaller file size than a bitmap, as it is a set of mathematical points. However, if there are many vectors composing the graphic, the result can be larger than a bitmap file. A vector shape can always be modified. It also creates very crisp images.